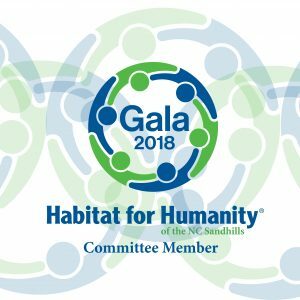 The Habitat Gala, Dinner and Auction is our biggest fundraising event of the year and there is a lot of planning that goes into this spectacular night. If you are a “party starter” please consider joining the group. Call Stacy at (910) 295-1934 to find out more.